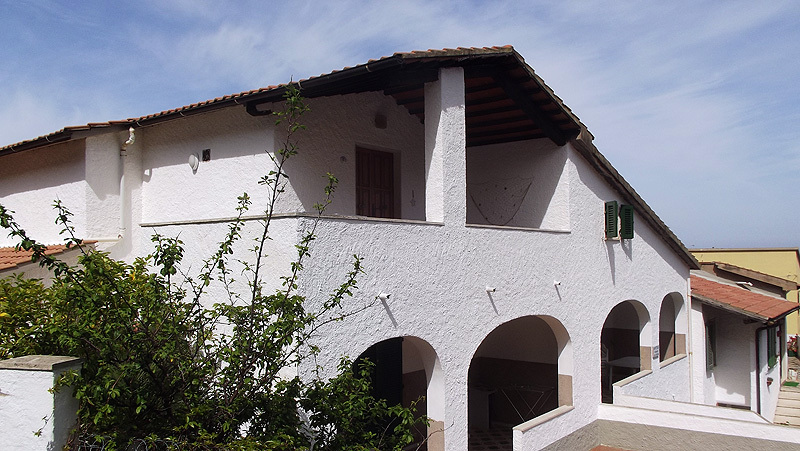 The apartment has an independent entrance in a small and quiet building just 80 m from the sea. Equipped with a porch with armchairs for comfortable sunbathing moments. The apartment has a bright double bedroom, a bathroom with a window and a bright living room with a kitchen equipped with fridge freezer and electric oven. From the living room you have access to a terrace with a dining table and the other two bedrooms, which have a double bed and a double bed and a single bed. In the courtyard of the apartment there is another bathroom equipped with washing machine.